10. Avoid posting a write-up of new music that was just covered by one of the more prominent Seattle music writers — you know who they are and they know who they are. I will allow for a minimum 12-hour buffer period and always strive to be the parrot-ed not the parrot-er. 9. Not be a hack. Some industrious hater (or maybe it’s a fan, who can be sure?) made this amusing clip of Aaron Sorkin stealing lines from… Aaron Sorkin. If I find myself stealing lines from myself, I hereby resolve to file a lawsuit on my own behalf against me. 8. Find out who Blacklemore is was. 7. 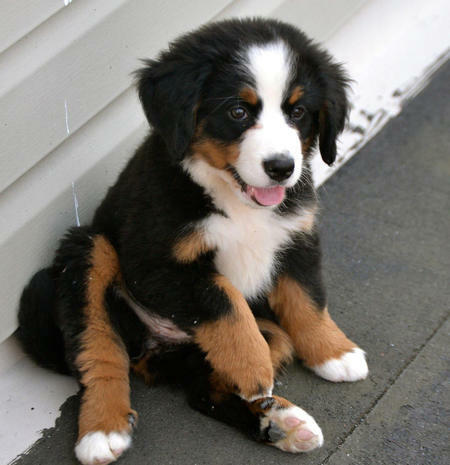 Post more pictures of Bernese Mountain Dog puppies. Just because. 5. End all overwrought, marginally coherent album reviews and/or think pieces with the phrase: “But it’s all relative”. 3. Cease my chronic procrastination of hip hop album review writing brought on by playing Lorde, Haim and Demi Lovato records on repeat when I should really be concentrating on the task at hand. 1. I hereby resolve to stop offending 90 percent of my reader base by crudely disparaging Macklemore and his music. From here on out, only highly literate, allegorical critical analyses will do. Half of Macklemore’s fans won’t be able to understand them anyway — #ShotsFired!